Does anyone have any views or experiences with these? Never tried those but I saw some favorable reviews on this forum. I believe Bryan got one. Same here, not had my hands on one but have heard good things. I love the 82s and 68s and would not hesitate to try the 62s if I were looking. OK thanks, most of what I've read is that they're OK and probably not re-housed Meade 5000's. Well, they might be. Since ES repacked Meade 5000 82 and 68 deg, why not 62? This is not necessary a bad thing. Meade 5000 are well performing sets and from my side by side comparison of Meade 68 and ES 68, I noticed that ES 68 coatings are better. If they updated coatings on 62 deg, they should also perform nicely. Generally speaking, I feel that Meade is somewhat underappreciated brand. They have quite few well performing series. Meade 5000 82deg 18mm and 14mm are my most used EPs and I feel they are better performers than ES82 14mm and 18mm. j.gardavsky, not_Fritz_Argelander and kanadalainen like this. I've pulled the trigger on a bino pair (20mm) so I'll write a review here probably lol. 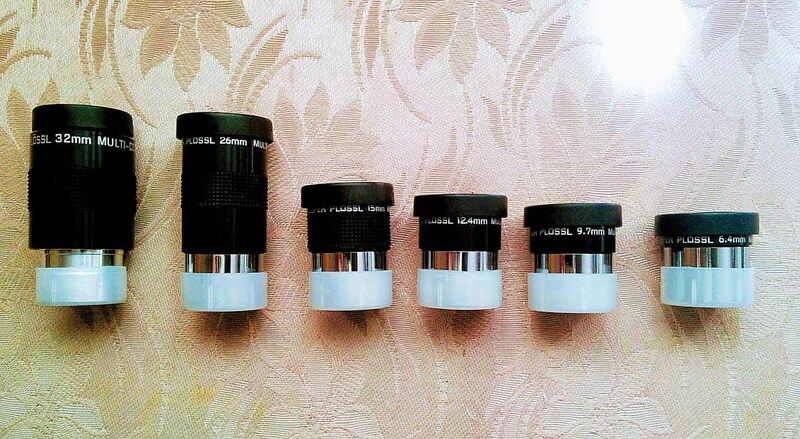 They are intended for high magnification primarily (lunar/planetary). Basically to replace a pair of these 60º Bresser EP's. These are nice eyepieces and I find I can merge them easily. Unfortunately I'm having a bit of a disagreement with the retailer about visible debris. I replaced one (the other's fine) but the replacement is a borker. The retailer in question isn't convinced and claims it's fine now after I returned it and he claims he's cleaned it and sending it back. Which is taking the piss a bit if you ask me. I've been through this before with the same retailer. So, I decided on trying the 62º ES's (from a different retailer ROTFL). I'll be watching for that. 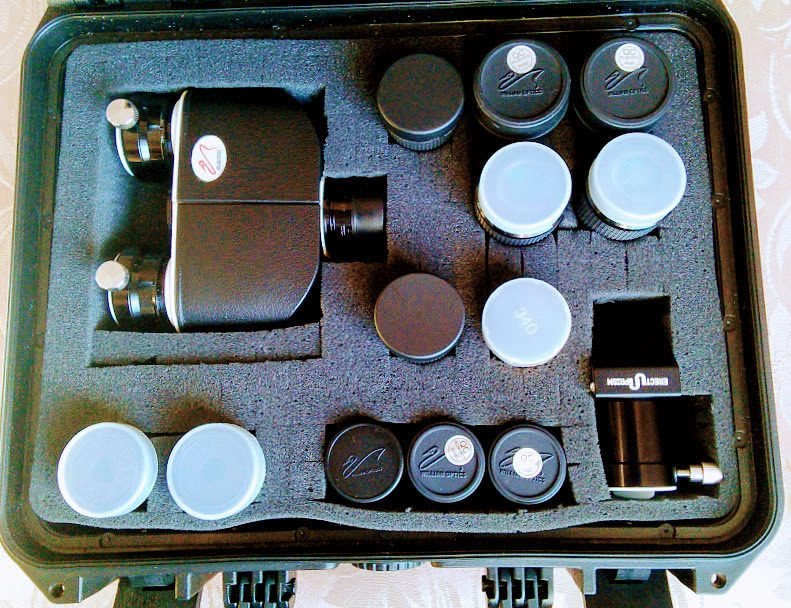 I also at times use a binoview and have thought about replacing the 20mm EPs that came with it. I really don't know about this. I've also read that they are a new design, as usual it all seems to be a mixture of rumours, conjecture, and educated guesswork. Personally, I think they're a new design. I've always considered Meade Plossls to be well made. 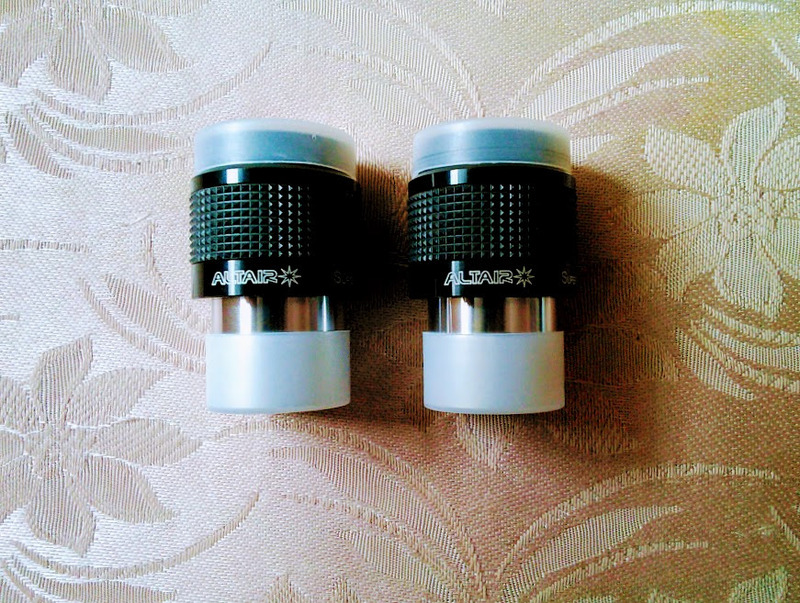 There were two 20mm WO eyepieces that came with my WO bino. They weren't too bad, but also covered in debris spots though! The WO dust caps in the above picture are actually on the 20mm Bresser EP's. 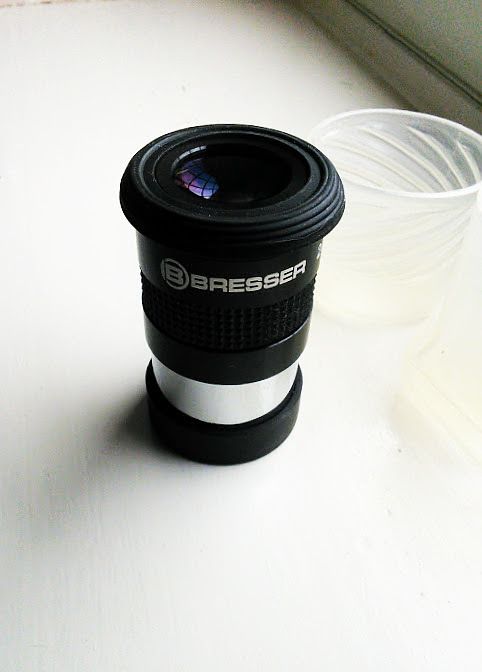 The Bresser aren't supplied with an eye lens dust cap but come in a little bolt case. 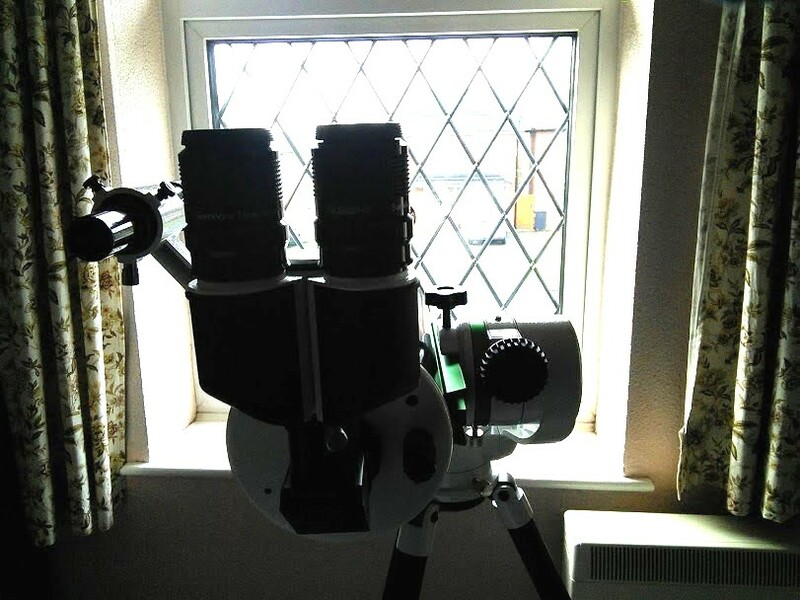 I have a pair of 15mm GSO SuperViews as well. These are about 100 grammes apiece. The 20mm ES are about 140 grammes apiece. I think the bino should handle an extra 80 grammes. Meade 5000 60deg Plossls have the same focal lengths as ES62, but ES62 has extra few FLs. Both are scalable design with ER proportional to the FL. Some like 26mm have exactly the same ER and some like 5.5mm different between Meade and ES. So, it could be that design is based on Meade 5000 60deg Plossls, but not the same. Certainly, ES62 series looks nothing like Meade HD60, which are well performing 60 deg EPs with fixed ER.